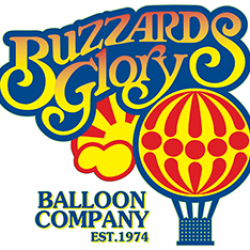 Buzzard's Glory Hot Air Balloon Company – The Oldest and most Experienced Hot Air Balloon Company in Iowa! Welcome to Buzzard’s Glory Hot Air Balloon Company. We hope you enjoy the fun, excitement and adventure captured in these photos. Buzzards Glory Balloon Company, LLC provides fun, family oriented hot air balloon rides for all occasions. Flying the skies over Cedar Rapids for over 40 years, Buzzards Glory was founded in 1974 by Peter O. Stamats to share his love of ballooning with others. You can schedule a ride by calling 319-363-3842 or emailing Susan scheduling@buzzardsgloryballoons.com.